Mercedes-Benz C 36 AMG from model series 202, production period 1993 to 1997. Exterior shot of the driver’s side. Photo from 1993. This power package for the C-Class is a clear statement on automotive sportiness spanning the entire product range: 25 years ago Mercedes-Benz unveiled the C 36 AMG as the top model of the new C-Class in model series 202 at the International Motor Show in Frankfurt am Main (IAA, 9 to 19 September 1993). By 1997, 5,221 units of the 206 kW (280 hp) high-performance saloon had been built in total. That is ten times more than the exclusive 190 E 2.5-16 Evolution II of model series 201 from 1990 with similar performance data. 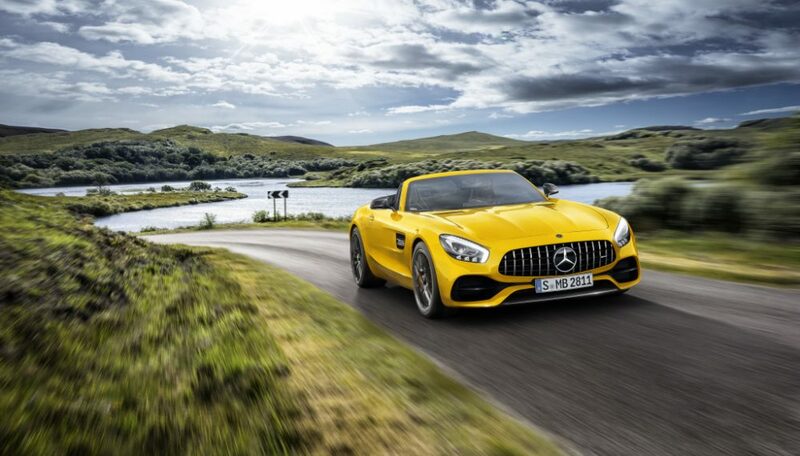 Many further refinements contributed to the successful overall concept of the C 36 AMG. On the engine these include the special custom-made pistons as well as the reconfiguration of the crankshaft’s torsional damper, lowering of the oil deflector by two millimetres, modification of the oil spray nozzles, a larger stroke and the modified valve timings of the intake camshafts, plus extended exhaust ports and an air intake pipe with a considerably larger cross-section between the air filter box and intake manifold. The engine management was also adapted to the changed parameters. All these modifications added up to an increase in the output of the 3.6-litre engine in the C 36 AMG compared with the 2.8-litre series engine by 64 kW (87 hp) to 206 kW (280 hp) at 5,750 rpm. The torque achieves 385 Nm at 4,000 to 4,750 rpm. All in all, the C 36 AMG delights everyone with its superior poise. This is also thanks to the suspension tuning, which finds a successful compromise between firm sports car suspension and the more comfortable damper configuration of a refined saloon. And the four-speed automatic transmission also impresses – as testified by the specialist magazine “Auto Motor und Sport” in its 20/1994 issue: “It shifts quickly and unobtrusively, immediately reacts to kickdown and thanks to the selector lever surround it boasts effortless manual gear changes. On winding routes not only can this enhance the joy of driving; it can also increase the harmony of motion”. Equipping the high-performance saloon with traction control system (TCS) also made exploiting the engine output an acceptable pleasure with no regrets. Twenty-five years ago the C 36 AMG was in the initial stage of direct cooperation between Mercedes-Benz and AMG – an outstanding success story. In 1999 the Stuttgart group took over a majority stake in AMG, and since 2005 Mercedes-AMG GmbH has been a wholly-owned subsidiary of Daimler AG. 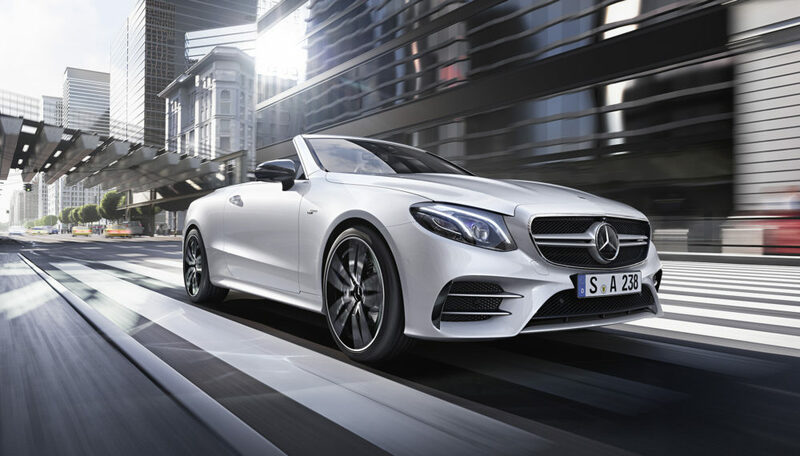 Today the passion for performance with sporty top models characterises virtually all segments of the Mercedes-Benz passenger car range with more than 50 different models. 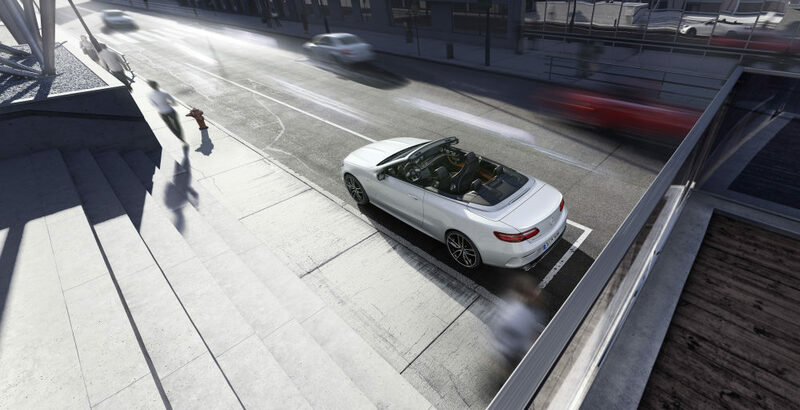 Since 2009 the performance brand has also been demonstrating the high level of development expertise with sports cars developed completely autonomously, such as the SLS AMG and the Mercedes-AMG GT. 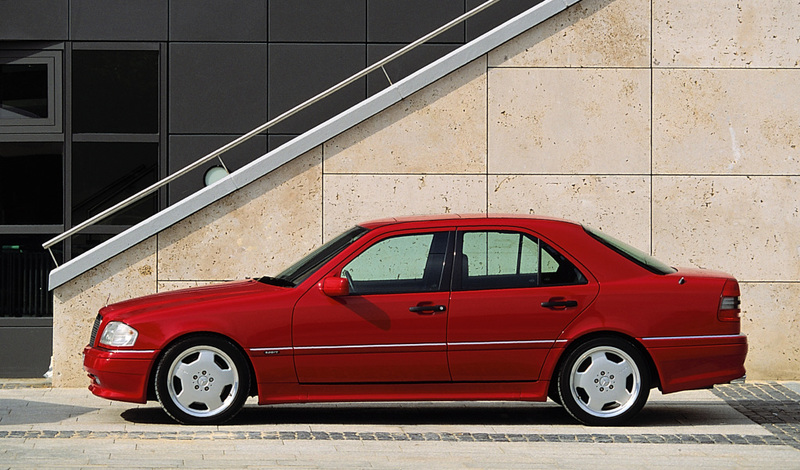 The powerful C from AMG in model series 202 of 1993 sounded the starting signal for this development. The flagship C-Class was an instant success and became the first high-volume production model in the history of Mercedes-AMG: by March 1997, the 5,000th vehicle had been delivered. Six months later in the autumn of 1997, when more than 5,200 vehicles had been produced, the C 36 AMG was superseded by the Mercedes-Benz C 43 AMG – the first C-Class with a V8 engine. In June 1996 the C 36 AMG started a tradition that continues to this day when the Affalterbach-based brand provided the official safety car in Formula 1 for the first time.